Andrew has been playing in local brass bands since the age of 11, including Epsom and Ewell, Staines and Yiewsley and West Drayton. He was a founder member of the Kingston Youth Concert Band in the 1980s, and was a member of staff there for many years. Andrew has been MD of Cranleigh Youth Band and also Encore Youth Orchestra, and the Epsom and Ewell B band which had both youth and adult players. He joined Mole Valley Silver Band on bass in 1999, and became their MD in 2003. Alex started playing with Brighton Silver band at the age of 7 and has played with a number of bands in this area including Alder Valley, Uckfield, Horsham and Chichester. She has been a member of Friary Guildford Band since 2003 and has served as their Contest Secretary for most of that time. Alex’s banding highlights include being the only baritone player to date to win ‘Best Instrumentalist’ in a scaba competition, winning the 1st Section National Championships with Friary in 2010, playing in the Championship section finals at the Royal Albert Hall and taking part in Brass in Concert. Alex was invited to join the scaba team in 2011 and appointed Secretary in 2015. She is also administrator and tutor for the Southern Counties Youth Band (#SCYB) and loves working with the next generation of brass banders. Jane plays bass trombone with LGB Brass. She has served on the scaba Executive Committee for over 15 years, and has earned an unparalleled reputation for her skilled running of our contests. Colin has been banding for over 50 years. He serves as Property Master for scaba, and is one of our registrars on contest days. Ian has been on the scaba Committee for 18 years and served as Contest Manager and Secretary in that time. 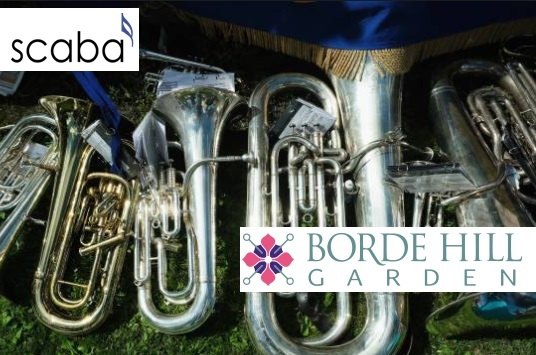 He was appointed President of the Association in April 2018 in honour of his commitment and dedication to scaba and brass banding in the South East. Married with 3 children and 7 grandchildren, Norman comes from a banding family and believes he has a brass gene in his make-up! His grandfather Frank founded the former Nelson Silver Band in the Rhondda Valley and then, following a move to Berkshire in the 1920s, formed the St Sebastian Wokingham Band. Norman followed in his footsteps with his involvement in the Cornwall Youth Band and by forming both the Cranleigh Youth Band and the National Methodist Youth Brass Band. Norman played tenor horn with the Godalming Band in Surrey before moving back to Cornwall recently. Norman served as President of the Association for a self-imposed 5 year term, during which time he founded the Southern Counties Youth Band (SCYB) in 2014. Ivy met Ron at the age of 17 when the conductor of The Westborough Ladies Choir invited her to sing with the Godalming Band who he also conducted. Some years later their daughter wanted to play a cornet like her father, Ivy went along to help teach the youngsters to read music, and the rest is history. Ivy played trombone with Godalming for 35 years before retiring from playing in 2013. She was invited to join scaba as a committee member when she started attending meetings as the Godalming Band representative and has served the Association for over 20 years, most recently as our Membership Secretary. In 2018 Ivy was appointed Vice President in thanks and recognition for her many years of dedicated service. Ron became interested in the world of Brass Banding during his National Service in the RAF in 1950, when he joined the station band in what was then Southern Rhodesia, playing 3rd Cornet and progressing to Rep Cornet when he was demobbed. He then played in Weymans Band for 2 years, before joining Godalming Band in 1954 (56 years service) playing solo Cornet, Flugel, and finishing up on E flat Bass. Ron’s involvement in scaba started way back in the 1960’s. After a few years break, he became interested in becoming more involved and was accepted on the Committee where he has served ever since. Ron was the association’s Registrar for over 20 years and in 2018 has been appointed Vice President with grateful thanks for his many years of dedicated service.